The St. Clare School 2018 Annual Appeal is underway! Please join us in making our “science classroom turned lab” dreams a reality by supporting this very important campaign. We are thrilled to invite you to be part of a very exciting project underway at St. Clare School—an initiative that will improve how our students learn. At St. Clare School, we develop lifelong learners who will become tomorrow’s leaders. We strive to provide our students with the best learning environment and the most effective tools we can. 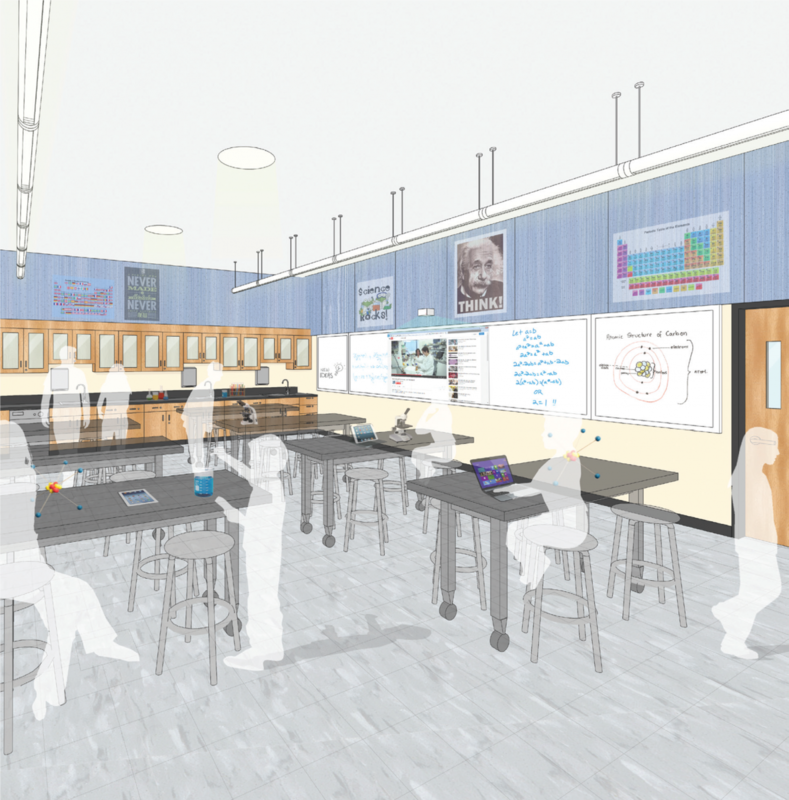 For the past two years, a dedicated team of parishioners and school parents have been hard at work on an ambitious plan to update our middle-school science classroom to a modern, well-equipped science lab. These plans focus on meaningful upgrades that will optimize hands-on, experiential learning. While we aren’t knocking down walls (or adding superfluous features that may look fancy, but won’t necessarily enhance a student’s experience), we do plan to add several more sinks, new cabinetry, flexible, moveable furniture, new flooring, safety stations, and more. Our middle school is home to a thriving science curriculum devoted to exploration of the earth, life, and physical sciences. Help us build the right space and put the right tools into our students’ hands. Please make a gift or pledge to the St. Clare School Science Classroom Modernization Project and help to make our dreams a reality. Your support is vital to our mission. Thank you! Thank you Parishioners Cliff and Kathie Dias, who have generously offered to match $20,000 in gifts and pledges.